Jesus, there is something about that name. 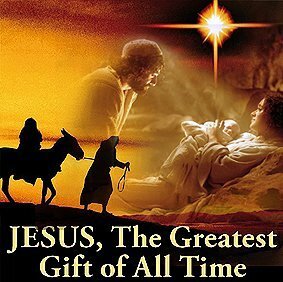 As believers, Christmas brings about that time when we celebrate the birth of Jesus; or Emmanuel, God with us. For many, this time will be spent surrounded by a crowd. Crowds in the house, crowds in the stores, crowds of traffic, and crowds of around television sets watching their favorite Christmas movies, football games, or parades. Some experience a loneliness in this season, so “God with us” is good news. When you study the Scriptures, Mark 3 brings about an interesting account in the life of Jesus. 1. Don’t be annoyed at the crowds – the Lord has placed you there among the people to do His work. Don’t forget to renew your mind – In the busyness of the holiday season, it’s easy to neglect the Word of God and our time with Christ. Remember what we celebrate at Christmas; don’t just celebrate Jesus, spend time with Him. This will prove to be a source of joy and strength. Also, renew your mind so you may see clearly the plan and will of God and not miss those opportunities.